It’s the festive season and Android users have one more thing to be happy about, as popular trivia game HQ Trivia is coming to Android. The company took to Twitter to announce the news, and those interested can pre-register for the app right now to become one of the first players when the app is released in the coming weeks. If you have not heard of this game before and thinking why a trivia game app has become such a big deal, well, it is because the app allows you to win real cash prizes on iOS devices. With live trivia games every day at 9 PM EST and every weekday at 3 PM EST, those who play stand to win cash prizes. It’s the first game of its kind to do that. 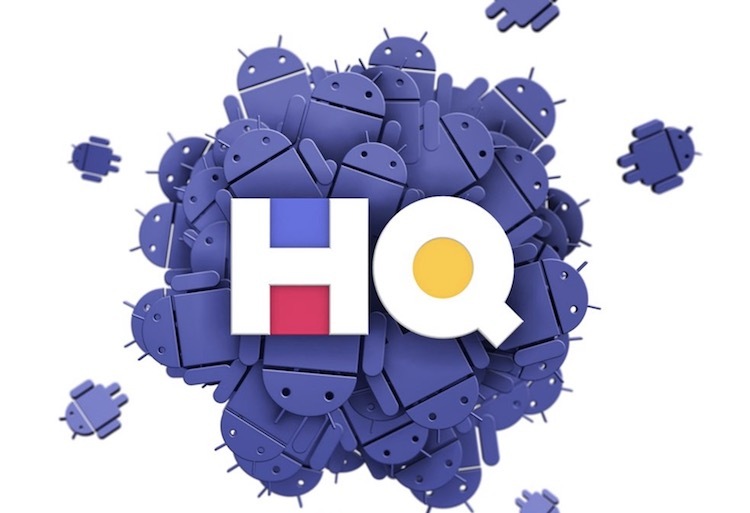 HQ for Android is coming. Pre-register now on Google Play Store. The app has become so popular on iOS, that it sees hundreds of thousands of players each day competing to win prizes. The premise is simple enough: the game consists of 12 multiple choice questions each increasing in difficulty. A player has 10 seconds to answer each question. And before you think you can simply Google the answers, know that the developers of the game have made questions are “un-Google-able”, which means it takes more digging than a simple Google search to get the answer. Answer all the questions correctly and you stand to win the jackpot which is equally split with other winners. The game started with a jackpot of $100 but has now increased in value with jackpots valuing anywhere between $250 to $8000. If no one wins the jackpot for the day, its value is added to the jackpot in the next game. Winners can check out winnings using a PayPal account. Needless to say, a fun game which gives players the prospect of winning real money was bound to become a success. Now, that the app is launching for Android too, even Android users will get a chance to win cash prizes. Are you excited for this game? Do let us know by writing down in the comments section below.